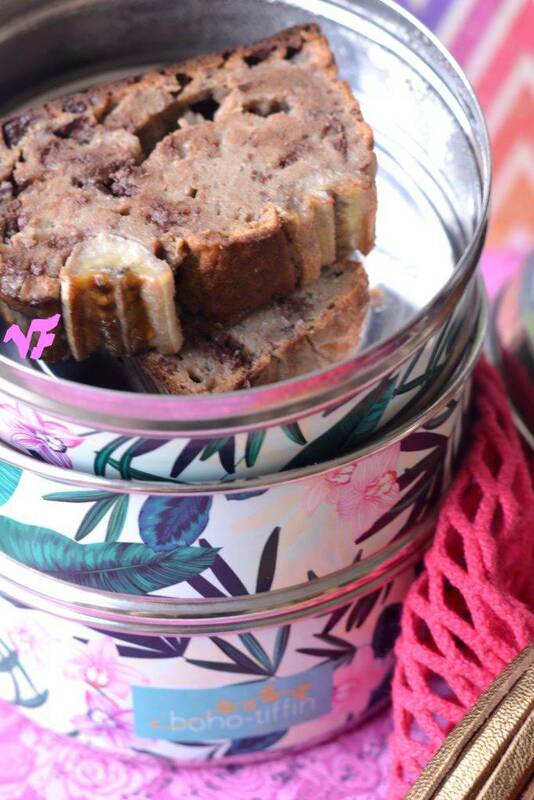 A vegan banana bread from Vegan Flavors with Greensweet liquid stevia Vanilla processed. 1 banana for the cake. Preheat the oven to 180 degrees and coat a cake tin with baking paper or grease with vegetable butter. Puree the bananas and dates (if you have hard dates, first soak them for 10 minutes in boiling water). Stir the apple sauce, Greensweet vanilla drops, tartar baking powder, lime or lemon juice and salt into the banana mixture. Pour the excess water away from the broken line seed and stir in the soaked broken line seed through the banana mixture. Stir the flour well through the wet mixture. At the last you add the cocoa drops. Your batter can now be poured into your cake tin. Shake carefully with the can, so that everything is well distributed. Cut 1 banana in the middle in half and press it gently (with the convex side) into the batter. Put your cake tin in the oven and after about 45 minutes your healthy vegan banana slice is ready. The last 10 minutes I put some silver foil over the banana loaf so it would not burn! Remove the banana salad from the oven and let it cool for 10 minutes. Then you can take your banana bill out of your cake tin and let it cool down further. You can get 10-12 slices from your banana bill. Also easy to freeze free, so you always have something on hand.